Does it conduct electricity? Or insulate against electricity? Physicists commonly classify material phases as one or the other. Machine learning is a powerful tool for pattern recognition and thus could help identify phases of matter. However, machine learning needs a bridge to the quantum world, where the physics of atoms, electrons, and particles differs from that of larger objects or galaxies. Now, scientists have provided a bridge, which they call the quantum loop topography technique. This is a machine-learning algorithm based on neural networks. It detects with high efficiency an exotic phase where electricity is conducted around the material's surface but not through the middle. Also, it distinguishes between normal insulators and these exotic topological insulators. Quickly finding exotic topological phases is vital for new, ultra-powerful computers. Finding the insulating phase in this research is only the beginning for this technique. The technique connects neural networks to the theory of the quantum world. The quantum world often leads to incredible properties that could unleash powerful, energy-efficient electronics. This technique gives scientists the tools to find and map other exotic phases faster. There is growing interest in harnessing machine learning to answer questions about the physics of condensed matter, like metals and insulators, including how to understand the interactions of many electrons. 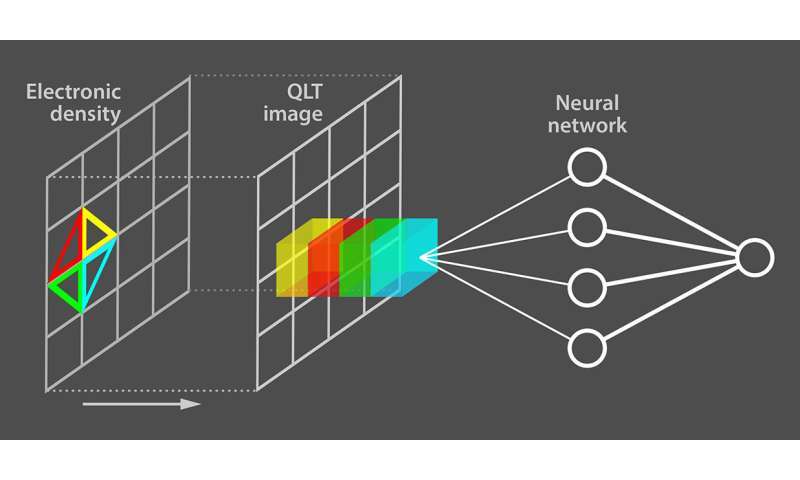 Quantum systems can have exponentially large parameter spaces similar to big data sets of images or analysis of consumer data. 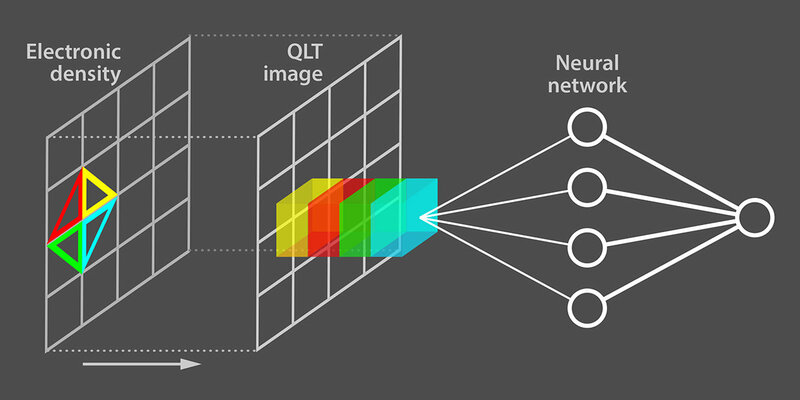 Therefore, machine-learning algorithms based on neural networks could also be trained to identify quantum phases. Training on so much information is hard. However, the relevant information is much smaller. The key challenge is to extract essential information from the electronic density (aka many-body wave function). In this study, scientists at Cornell University have successfully tackled this challenge. They extracted the essential data by using a quantum loop topography bridge. In applying this quantum bridge, a multidimensional image is formed from triangular regions, or loops, in the electronic density profile. Signatures for defining the phase guide the loop configuration. The signature was a particular type called Hall conductivity. The scientists then fed the multidimensional images to a fully connected neural network with a single hidden layer. The scientists demonstrated that the neural network could be effectively trained to distinguish topological insulators (for example, Chern insulator and fractional Chern insulator) from normal insulators with high fidelity and significant speed up over standard methods. They essentially interfaced neural networks and image recognition with condensed matter theory. Thereby quantum loop topography overcame the "topological nearsightedness of machine-learning algorithms based on neural networks" (American Physical Society viewpoint). This achievement paves the way to faster identification of topological order and obtaining more phase diagrams of exotic materials.